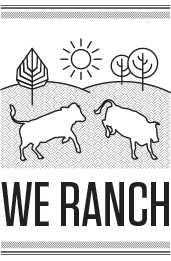 Ranchly is simply the easiest way to get great beef you feel good about, delivered from our ranch to your door. No subscription required, no deep freezer needed. You order, we deliver. Browse our favorites in the Chef Selections or choose your own. Customize Chef Selections by adding a la carte items. Make your selections and submit your order. Sit back and relax, your pasture-raised, chef-perfected selections are on the way. Skip the trip and avoid long lines. Shipping is always $10 per order – no matter how large. Ready when you are – put it in a pan or throw it on the grill. Need inspiration? Check out our recipes and cooking techniques for more ideas.